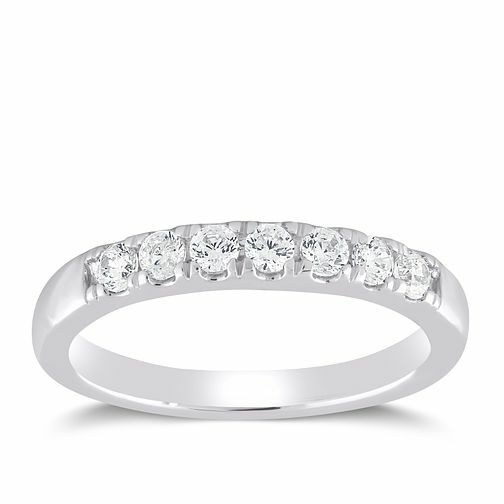 Glisten and shine with this exquisitely designed platinum diamond eternity ring from The Forever Diamond. Set with a stunning row of round cut diamonds in a claw setting, this ring is set with diamonds totalling 1/2 carat in weight. The Forever Diamond has a unique 73 facet cut, delivering exceptional sparkle and radiance. Each Forever Diamond has been independently certified for colour, clarity, carat and cut.